The 12/28 Challenge | Make a V.O.W. On 12/28/14 we are launching an exciting movement called “Make a V.O.W.” — a call across social media for scripture memory. Scripture spoken aloud makes such an impact on those who hear. Just imagine pulling up Facebook, Instagram, emails, and hearing the voices of children reciting scripture. The soft tone of a mother speaking the gospel to her child. The booming voice of a grandfather sharing a long-time favorite from the Psalms. then challenging another to do the same. So, how can you join the movement? Select a verse that moves you where you are in your life that day and make a pledge to memorize. Do so with your family, children, friends. Record a video and challenge a friend(s) to do the same. Post the video and then commit to continuing to memorize scripture throughout 2015. We can’t wait to see all the videos – to help see the movement in action, use the hashtag #makeavow and then follow on Facebook, Instagram, Twitter and more. Let’s flood social media with scripture. Be a part of the V.O.W. 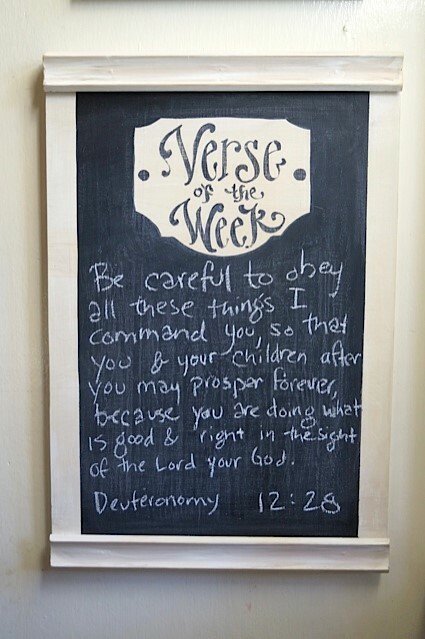 Want to create your own Verse of the Week board? Check out our cool kits that provide you with instructions, vinyls and enough materials to make one for you and your family, and a second board for the person you challenge.